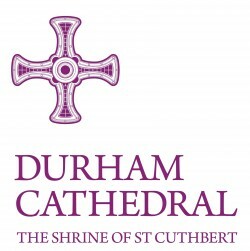 We’re delighted to be returning to the home of our ‘oldest member’ Durham Cathedral for our November club meeting, thanks to Business Durham. It’s no coincidence our event once again falls in the week the cathedral is about to be illuminated by a breathtaking series of installations and projections.We’re hoping for another sneak preview of Lumiere, the UK’s largest light festival, commissioned by Durham County Council. Business Durham will also present updates on Finance Durham and the SME Durham Digital Engagement project. The event will be held in the Magnificent Prior’s Hall, we will be treat to a tour of the Open Treasure project, two years on from our last visit, no hard hats required now this world-class exhibition has transformed the visitor experience. The evening will end in the usual way with a networking buffet. We can also enjoy a glass of wine, courtesy of our friends at Omnicom. *This event has now reached maximum capacity. If you are a member please contact the office to be added to the waiting list. If you are a non member we would love to see you at a future event!